Passionate about Passion Fruits? Enjoy the taste of a nice, hot cup of Green Tea? Combine your two favourites together, along with other delicious ingredients, and embrace our Passion Fruit Guava and Mango Tea. This beverage is actually a flavoured Gunpowder Green Tea and offers a heavenly scent and taste of Guava with strong, sweet notes of both Passion Fruit and Mango. All Gunpowder Teas, regardless of tea type, are made from tea leaves and young buds rolled into small, round pellets resembling the lead shots used in early muskets. This is likely the reason for its name, but we can’t be sure! 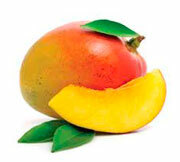 What we do know, however, is that consuming Passion Fruit Guava and Mango Tea can improve your everyday way of life. 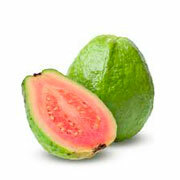 This is due to its incredible health-promoting properties. Choosing to drink this tea alongside a healthy and active lifestyle can improve your immune system, boost your metabolism, and help you to de-stress. In this fast-paced world with little time to relax, what more could you possibly want? Well, there is, of course, its incredible taste, that’s ‘what’! Historians largely agree that Gunpowder Tea first originated from the Zhejiang province of China during the Tang Dynasty (618-907 CE). In fact, to this day, the Zhejiang province remains one of the most important Chinese provinces for Gunpowder Tea production. Other provinces known for producing Gunpowder Tea include Guangdong, Anhui, Hunan, and Fujian; however; its name remains a mystery. Its pre-brewed appearance is just one such theory. Another suggests it stems from the Mandarin Chinese phrase for “freshly brewed”. Spoken in its correct dialect, the phrase “freshly brewed” sounds like the English word “gunpowder”. Finally, there is the suggestion that Gunpowder Tea owes its name to the ‘crackling’ sound it makes upon brewing, similar to the ‘crack’ of a musket. Whether there is truth behind any of these tales, however, is a topic of great debate. One element that no one can argue about is how good Gunpowder Tea tastes. This taste is very much dependent on many factors, including the type of tea used, the quality of its leaf, and its province or region of origin. Most Gunpowder Green Teas have a similarly grassy and/or earthy flavour, coupled with occasionally sweet undertones. Passion Fruit Guava and Mango Tea, meanwhile, offers this plus unmistakably fruity flavours. How to Serve: Lemon makes for a nice accompaniment with this tea, but we recommend it best served as it is. Tasting Notes: This smooth, refreshing cup offers potent fruity flavours with grassy undertones. It also boasts a strong, sweet aftertaste. Health Benefits: In the United States alone, 29.1 million people suffer from Diabetes. Globally, on the other hand, 85-90% of all diabetes sufferers have Type II Diabetes. So, what can Passion Fruit Guava and Mango Tea do to reduce these risks? One 2006 Japanese Study clearly demonstrated that people who consumed up to 6 cups of any green tea variety a day (this includes Gunpowder Green Tea) were 33% less likely to develop Type II Diabetes. Furthermore, this tea also has metabolism-boosting abilities, making it an excellent weight-loss tool. A boosted metabolism enables the body to burn fat quicker, and far more efficiently. Providing you consume this brew alongside a healthy and active lifestyle, Passion Fruit Guava and Mango Tea might be able to help you lose those pesky pounds once and for all!